Narcissists are people who are illogical, irrationally, and quite offensively in love with themselves. While it is advisable to have a good level of self-worth, and self-respect, turning anything into an obsession is not advisable. Narcissism is a form of the disease that is generally born out of massive insecurity. If a person has been neglected or ignored for the greater part of their lives or received insufficient love during their formative years, they turn into people who are selfishly obsessed with their own well-being. The self-love in question is not limited to lifestyle choices and facial appearance, but also extends to how you treat the people around you. Narcissists quite openly display hostile tendencies towards people they think of as competition. They want to be able to secure their field of dominance and do not respond well to any potential threat in that domain. They have a plethora of insecurities which they pet and nurture to their satisfaction. Spotting narcissists are supremely difficult. While there are common traits such as: hyperbolically praising their own selves, only thinking of their own well-being, completely brushing off the needs of other people, being directly rude to the ones who keep them company, etc. While these are umbrella traits that define narcissism, there are also people who display none of the defining traits. These people are much harder to spot since they do not give in to stereotypical behavioral patterns outwardly, or prominently. 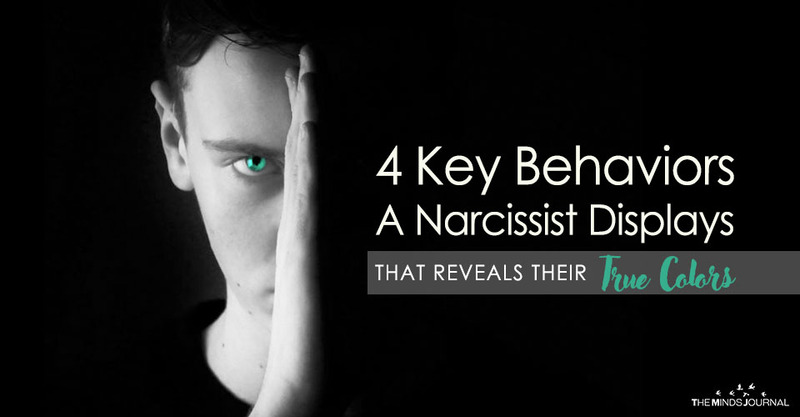 So, often a narcissist could be your very best friend, but it will take you years of emotional exhaustion and psychological damage before you could see them for who they truly are. It is actually during fights and quarrels, that the true nature of a human being is revealed. Irrespective of how much they want to shroud their narcissistic tendencies in acceptable sophistication, their true nature is always revealed when they are provoked. When a person is angry, they do not have self-control. They say things they regret later on, but most of the time, the things that they spill are thoughts that they have had for quite a while. 1. Emotionally Manipulative – They are unable and always unwilling to take responsibility for their actions and words. They happen to be experts at this game. Narcissists are illogical when it comes to handling emotions. They are overgrown babies who do not know when to stop crying. They are people who never quite grasped the true idea of adulthood. If they set their minds to something, then they need to have it. Otherwise, it will be a huge headache for you. Ranging between an ice-cream to incessant validation, narcissists are exhaustingly demanding. In fact, you will not even be allowed to point out their irrationality to them, lest they should take offense. When they are pissed off, dissatisfied, annoyed, or sad due to the wrong reasons, they will ensure that they get the green-card out of the debacle. Instead of owning up to their own immaturity, they will project their own attributes on you- calling you the names that they deserve to be labeled by. In fact, they are so convinced that you will actually come to believe that they are right. You will continue to blame yourself for the uncontrollable crocodile tears of a massive child. It is extremely harmful, and something that could ruin your self-worth for ages to come.